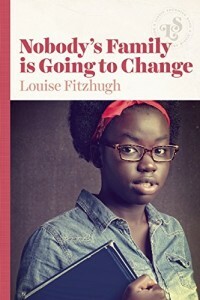 Best known for her iconic work Harriet the Spy, Louise Fitzhugh is celebrated as a writer and illustrator whose works about New York and its tribe of children were game-changers in the field of YA literature, combining humor and affectionate knowledge that made their characters and their stories unforgettable. The author of Harriet sequels Sport and The Long Secret, and Nobody’s Family is Going to Change, Fitzhugh produced a comic book, Suzuki Beane, illustrated by LSB author Sandra Scoppettone. 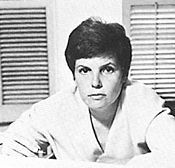 Fitzhugh was part of a literary lesbian vanguard in 1960s New York whose authors included M.E. Kerr and Sandra Scoppettone, one that produced revolutionary works that tackled love, sexism, homophobia, racism, abuse, and other “adult” topics with insight and wisdom.